When you arrive in Innsbruck, Austria, the first thing you’ll notice is the stunning medieval architecture. Tirol’s capital city is packed with museums, palaces, castles and churches, including the building known as the Goldenes Dachl, or Golden Roof, built in the 15th century. 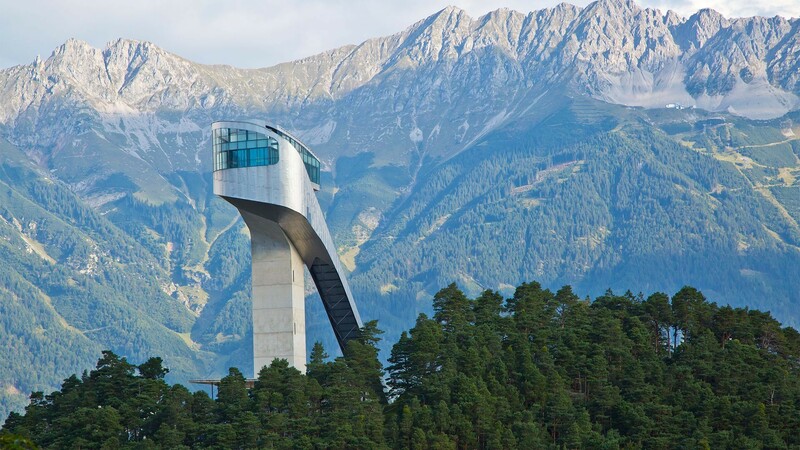 Beyond its urban centre, Innsbruck has unfettered access to the great outdoors, with sweeping landscapes prime for trekking, long-distance hiking and multi-day day tours. 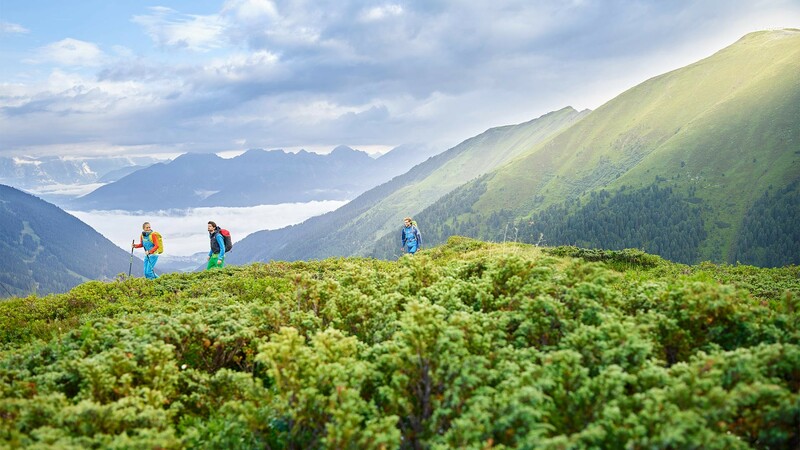 To get the best of both worlds, try the new seven-day Innsbruck Trek (with both easy and advanced routes, and an optional guide), which takes hikers to almost every important landmark in the region’s massifs. 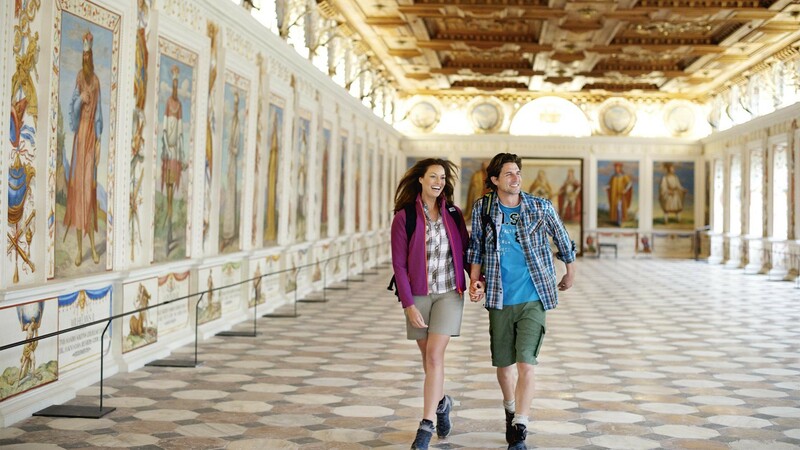 The tour starts in the middle of Innsbruck’s Old Town and passes through the Karwendel mountains, the Mieminger Plateau and the Stubai Alps. You’ll then take in the rugged beauty of the Kalkkögel mountains, known by locals as the Dolomites of Innsbruck, and the 800-year-old stone pine woods on Patscherkofel before heading back into the city. If that sounds a bit too much like hard work, there are plenty of stylish hotels primed for rest and relaxation en route, and your luggage will be ready and waiting for you at each hotel. Innsbruck might be known for its gorgeous medieval architecture, but it’s home to slick design-led boutique hotels, too. Rooms at the steel-and-glass aDLERS hotel are minimalist, emphasising the stunning views over the Nordkette mountain range. We’d say these are best enjoyed from the state-of-the-art Mountain View spa, where you can soothe away those stresses in one of three saunas. 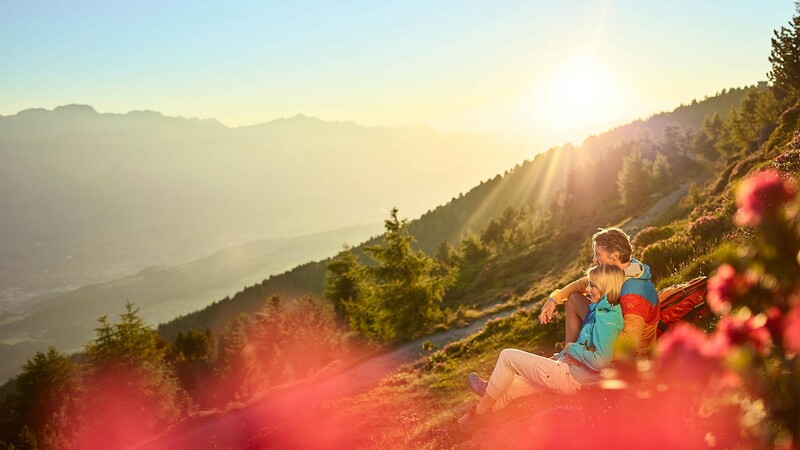 If you prefer to stay in a picturesque village on the surrounding plateaus, book into Sporthotel Igls or the newly built spa hotel dasMei in Mutters. And while you’re here, it makes sense to soak up some culture. Enter the Innsbruck Card, which gives you access to 19 sights, a return trip on all seven cable cars and unlimited public transport. 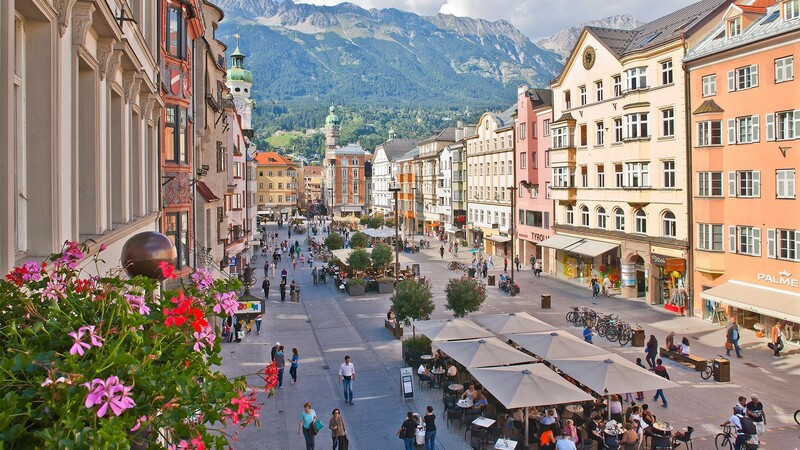 The city of Innsbruck: your perfect alpine break.